Welding equipment specialists Westermans International Ltd is enhancing its services to customers in both the home and international markets with the announcement of a sole UK and Ireland distributorship agreement for the ProArc range of cutting, welding and associated systems. Although a supplier into worldwide markets of equipment from the Taiwanese manufacturer for some 25 years, this latest move is set to strengthen availability and choice in the UK and Ireland, while also providing support where needed for the company’s European sales activity. 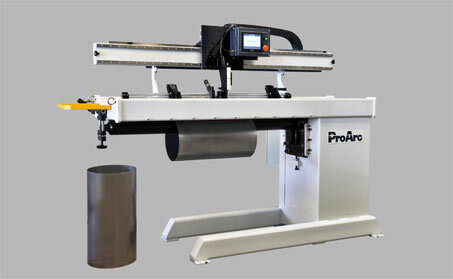 “ProArc has a well-established reputation in its field for high quality and value for money solutions – including welding systems, CNC drilling machines, CNC cutting machines and welding automation units – that are of note for many small and medium sized operations such as those involved in sheet metal applications,” says Mark Reaney, Westermans’ Technical Director. “Because we are now able to underline our ability to provide solutions in this sector, we will not only enhance services to our own customers, but also strengthen ProArc’s own sales, especially in the UK and Ireland,” he adds. Mark Reaney draws particular attention to Westermans’ focus on seam welding applications which, he believes, will help ProArc achieve greater success in these key markets. Westermans International has built a leading reputation worldwide for the supply of carefully sourced and refurbished welding and associated equipment alongside sales of selected new systems. Although ProArc has long been part of the Westermans’ offer, the new distributorship agreement means a greater choice will be available – the company will also now hold smaller ProArc units in stock while providing rapid access to machinery that fulfils larger installation needs. In all cases, Westermans’ proven support capability, from the ability to tailor installations to meet exact needs, to the supply of spare parts, is fully available to support the range. “We will be stocking a broad range of ProArc products – from CNC plasma and gas cutting systems, longitudinal seam welding machines and bench-type lathe welding designs to welding positioners and pipe rotators,” continues Mark Reaney who also points out that a number of units will be set-up for viewing and demonstration at the company’s Leicester premises. Mark Reaney adds that Westermans will also supply promotional support in the European market including involvement at selected exhibitions. While the greater availability of ProArc equipment through Westermans International will be of relevance across manufacturing and engineering, the company highlights a number of key markets where the development will be of particular note. These include automotive exhaust, vacuum component and cryogenic vessel manufacturing as well as water tank, aircraft component, flexible metal hose and sheet metal fabrication. Hunter Tseng, ProArc’s Regional Sales Manager, endorses these points. “ProArc has built a good reputation in the European market with the cooperation of Westermans who are always our best partner in the UK, with the company’s professionalism and excellent service important factors in building customer confidence,” he says. “Westermans has built a powerful sales network and operates a good on and offline sales system that we find very impressive. 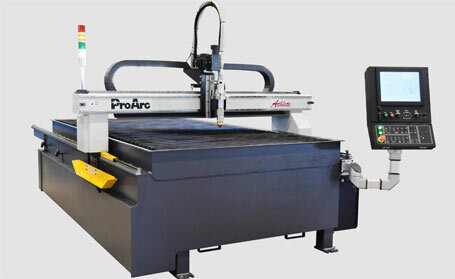 “Now ProArc and Westermans are moving further together with the company becoming the exclusive distributor for the ProArc brand name for CNC cutting machines and welding equipment in the UK and Ireland. It is both an important milestone for Westermans and an historic moment for ProArc as it expands its business in the European market,” he continues. “I am convinced that through open conversation and by sharing the same philosophy and goals, we can create a new page for our cooperation and we are looking forward to working with Westermans to expand more business together,” he concludes.